Kudos to Philly for picking up one of the best players in free agency. Everyone knows that Asante Sameul is one hell of a player. He’s almost like Champ Bailey, you never want to throw in his direction. I think with the Eagles picking, they’ll return to Playoff caliber form. That Eagle defense now has a much a more dangerous secondary with players like Brian Dawkins, Lito Sheppherd, and now Asante Samuel. So the big news in football today was that former Dolphins LB, Zach Thomas signed with the Cowboys. My response: big F*****G DEAL! Are the Cowboys really getting something special with this guy? I mean, sure he’s got the numbers, and good track record (having more tackles than any linebacker currently in the Hall of Fame), but he’s simply doesn’t give his team an edge. He hasn’t exactly helped the Fins garner the reputation as a team with a defense to watch out for either. Plus he’s simply too old. Also, he’s 34, and the past few seasons, he’s been quite an injury-case. I honestly don’t see what more you can get out of this guy. I’m frankly surprised that a team even picked him up. In more minor news in football, the 49ers are set to sign former DB & KR Specialist Allen Rossum from the Falcons and Steelers. I personally like this pick up because I’ve seen Rossum do his thing in ATL and in Pittsburgh. Plus I like how he was once named as the Fastest Man in the Pro Bowl. 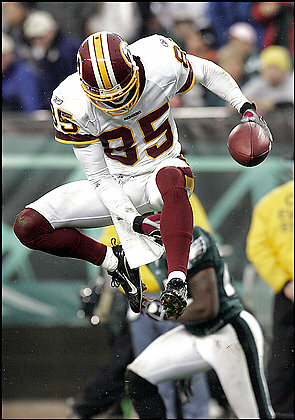 It was too bad Brandon Lloyd didn’t prove himself in Washington. I honestly thought he was gonna make some noise over there in the NFC East. But I guess being the #3 wideout just wasn’t enough for him. His time as a Redskin truly was a disappointment. He failed to register 1 receiving touchdown in 2/3 seasons, and he didn’t get a lot of balls thrown to him. But since he was an awesome 9er, I’ll pay some respect. Check out some of his cool catches below. Thank God, Derek Smith found a new team in the Chargers. I honestly thought no team would’ve been interested in him. But I’m glad San Diego saw how much of an underrated LB he is. He’s got good strength, great tackling abilities, and good speed. I think he’ll mesh well with that 3-4 defense. 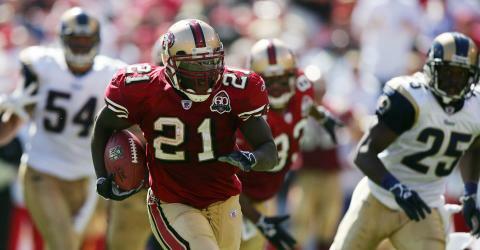 I was really hoping this one would be like Darell Jackson– one Seahawk moving to S.F. Too bad the Seattle tagged this guy. I think he would’ve been a perfect fit in the 49ers defense. We’ve already got Nate Clements, and I’m sure we could’ve been able to afford this guy. It’s unfortunate, now I still gotta watch him play for our NFC rival. Awesome awesome awesome move by the Colts to designate this guy as a franchise player. He can run block, pass block, and catch the ball like a receiver. We’ve seen be a factor and straight up turn games around. I think he was a big reason why the Colts were winning without Harrison last season.